In the Milky Way, the Large Magellanic Cloud, and the farthest reaches of space, the rise and fall of civilizations has occurred again and again. If we examine these civilizations from a historical perspective, details will be revealed that are not readily apparent in the main storyline. 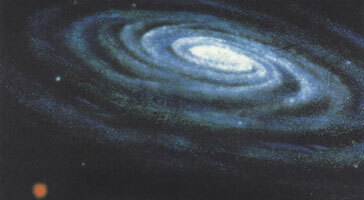 The Milky Way Galaxy is a giant island in space streatching 100,000 Light Years across. By combining it with the Large and small Magellanic Clouds, we get three Nebular Clusters, encompassing 100~200 billion stars. Therefore, it is highly probable that an active civilization should exist under these circumstances. In Yamato, we have seen the civilizations of the Bolar Union, the Planet Denguil and the Galman and Gamilas, just to name a few. The humans of Earth rose from carbon-based life forms that originated in the area of the Orion spiral arm of the galaxy. By the year 2199, the Terrans had built bases on several planets within their Solar System. However, there was a time when all living things on Earth were in danger of extinction due to the assault of the Gamilas Empire from the Large Magellanic Cloud. What saved the Earth was aid from Iscandar; the advanced technologies that allowed humans to improve their spacecraft for interstellar flight between the years of 2200~2201. It was at this time that the Terrans had taken their first steps towards becoming an interstellar civilization. Although travel to Alpha Centauri (4.3 Light Years away) was achieved by 2203, only Yamato, the Prince of Wales and the Arizona had ever travelled beyond that distance. One key factor of Terran civilization is that it contains a mix of various races that dislike both war and the invasion of other star systems. Although their civilizations were very different, these sister worlds evolved in the Sanzar sector of the Large Magellanic Cloud. These worlds were very old, and they were slowly dying. 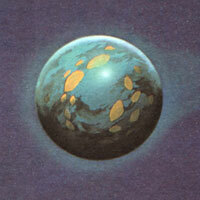 This had caused great extinctions on Iscandar, and the worsening of environmental conditions on Gamilas. The people of Gamilas were the descendants of immigrants to the Sanzar sector. For this reason, as the environment on Gamilas worsened, the people emigrated across the Small Magellanic Cloud and into the Milky Way, destined for Earth. The Gamilas were expanding their empire outwards during this time. The Iscandarians, on the other hand, were a peaceful civilization with no ambition for galactic conquest. When Gamilas attacked Earth, the remnants of the Iscandar nobility decided to oppose them. 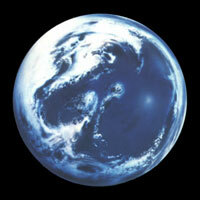 Despite great personal risk, they felt that helping the Earth would benefit them all in ways not yet seen. 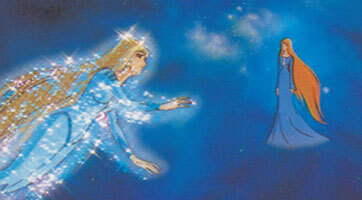 Presently these sister worlds of the Sanzar sector no longer exist. 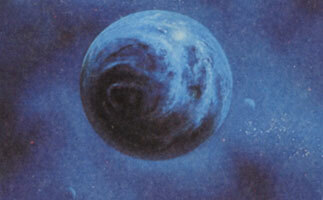 The Dark Nebula Empire caused the destruction of both planets while extracting energy to refuel their ships. The Gamilas people traveled back to the home star system of their ancestors, while the Iscandar civilization came to a lonely end with the death of Starsha. The sole survivor, Sasha, born between a Terran and an Iscandarian, became a crewmember of the Yamato, but she died in battle, drawing the final curtain on that ancient race. As the Gamilas people wandered back into the Milky Way, they encountered their distant relatives, the Galman, and promptly merged with them to form the Galman-Gamilas Empire. The Bolar Union created their base in the heart of the Milky Way. They were once a part of the central core group, but many of them broke away to later form the Union. 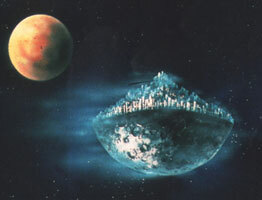 Although they were called a Galactic Union, they had begun the outward invasion of other star systems by the year 2203. They left the Galactic Core and invaded the neighboring star systems, even absorbing races into their Union that had not yet developed space travel. The Denguil civilization originated near the Orion Arm, but they were a special case, having actually descended from the Terrans of Earth. When the Earth was first flooded by the waters of Planet Aquarius, the civilization was saved from extinction by the Denguil people. However, the Terrans who had gone back to Planet Denguil eventually conquered their saviors and took over. In the end, the science of the Denguil was corrupted, and the ancient traditions and religions of Earth were used to further the pursuit of power among the elite. Although similar incidences may have occurred elsewhere in the universe, there are no records to show that this is true. The Denguil made plans to invade Earth immediately after Aquarius flooded their home world again in 2203. Basically, the Denguil were motivated only for their personal pleasure, and they no longer resembled their modern Terran counterparts. 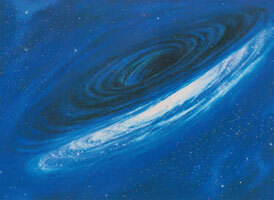 Although there are other powerful forces outside the local galaxies, only two came forward to invade our galaxy. This group believed the entire universe belonged to them. Their home planet was actually a mobile spacecraft, so they no longer knew exactly where they had originated. Also, many non-Gatlanteans were absorbed into the Empire, so they held equal status along with the rest of the Gatlantean people. They could be described as a nomadic empire. They either conquered or destroyed any planet they came across, and never knew defeat until they encountered the Terrans. Because they were nomadic, their view toward others greatly differed from civilizations that were accustomed to one homeworld. 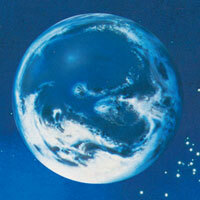 This civilization originated from an island-like region 40 light-years away, hidden from outside view by a dark nebula. They were a machine- oriented society. As a result, the people slowly lost their ability to reproduce by natural means. To solve this problem, Emperor Skaldart plotted to capture the Terrans in order to use them as breeding stock. 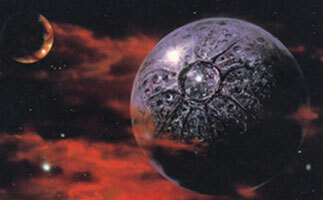 The Dark Nebula Empire was in constant war with other stellar civilizations, creating the need for tremendous amounts of energy, so they invaded the Sanzar System to strip-mine the planets Gamilas and Iscandar. This is where they first encountered the Terrans and the Gamilas, and also where they acquired their data on the Terrans. Their entire race had been turned into cyborgs, which they felt gave them an advantage even though they could no longer reproduce themselves by natural means.